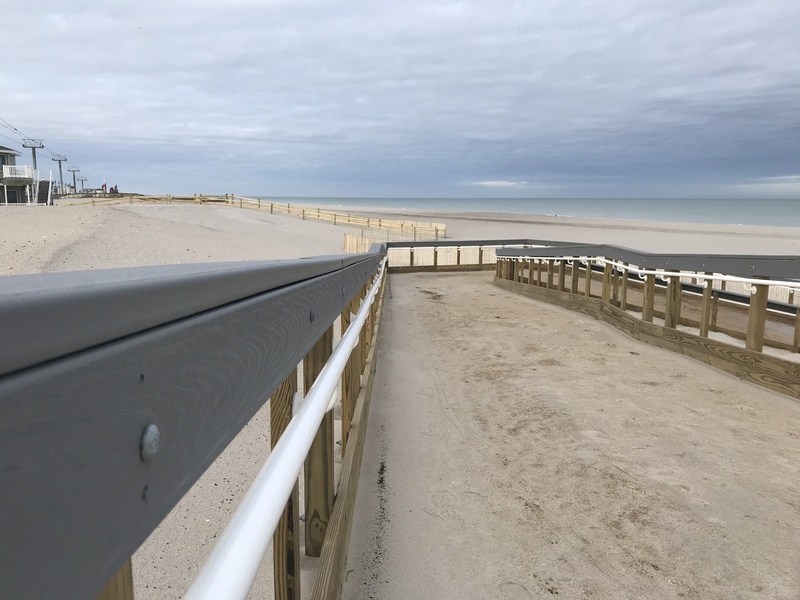 Beach replenishment is complete in Seaside Heights, in time for the upcoming polar plunge and with literally months to spare before the summer season kicks off. Now that the sand has been pumped, crews are working rapidly to build beach access points that will cross over the dunes (rather than cut through them) so the boardwalk and businesses will be protected during storms. The dunes themselves rise 18-feet from the ground, with the beach berm – the part where you’ll set up your beach chair come spring – is at least 200-feet in width. 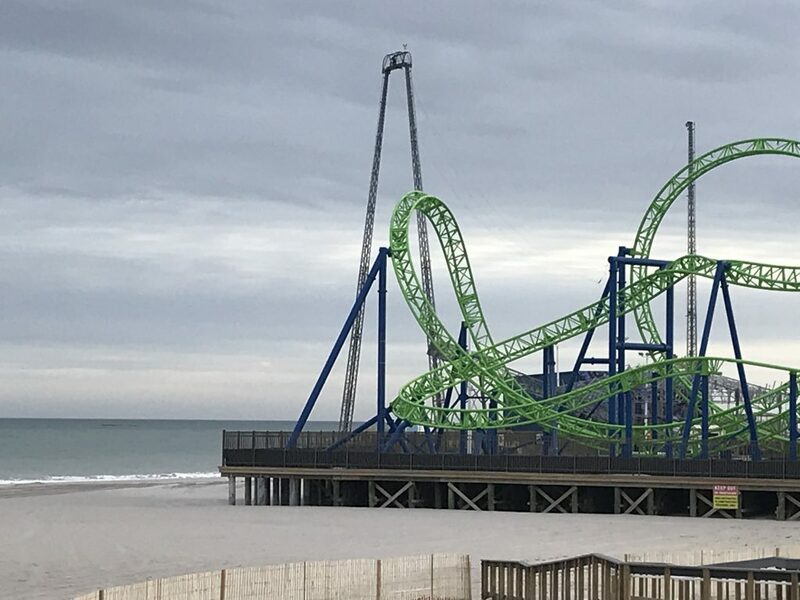 There have also been protective barriers built in front of the pylons that support the popular Sky Ride overlooking the oceanfront.